Expansive Jupiter, the giant planet of our solar system, aptly named after the King of the Gods, is doing a U-turn and, from where we sit, will appear to be rolling backwards through the sky starting on the 5th of this month and through until August. This phenomenon, known as Retrogradation, literally translates in your life as a phase of inner expansion and self-exploration. How kind and beneficent are you to yourself? How effective are the beliefs that you hold? For healing on this inner journey, apply the balm of opposite experience whenever you are able. 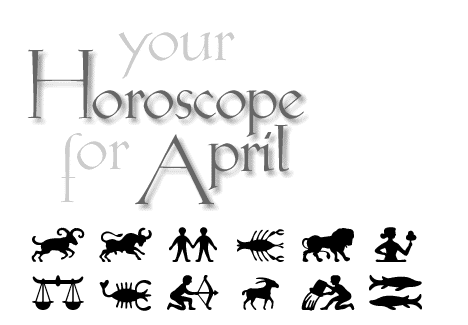 Sagittarius horoscope the month of April 2007. By Tofino astrologer Karedwyn Bird for Tofino Time Magazine.